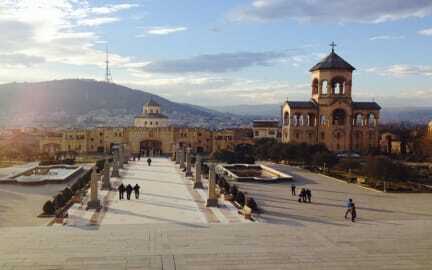 @MyHostel offers you a good services for affordable prices in the heart of Tbilisi city. 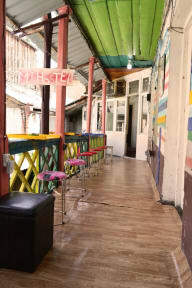 We are not just a hostel we do our best to make you feel that you're the owner of the hostel! @My Hostel is one of Georgian European Company projects in Georgia. G.E.C target is contributing to the rapid economic growth in tourism section. @My Hostel is in Georgian market from April, 2017. Located in the heart of Tbilisi, @MyHostel offering you cheap prices and high quality services. The property is situated in a historical 19th-century building with stained-glass windows. The rooms are decorated in classic style and feature climate control system, free Wi-Fi, seating area. Some rooms come with a balcony. We have two dorm rooms with all facilities and furniture. the first room is mixed 6 dormitory beds. The second room is 8 mixed dormitory beds also we have a good living room, two shared bathrooms and a small kitchen. We are located in a classic and old building. it built in the beginning of the 20 century.